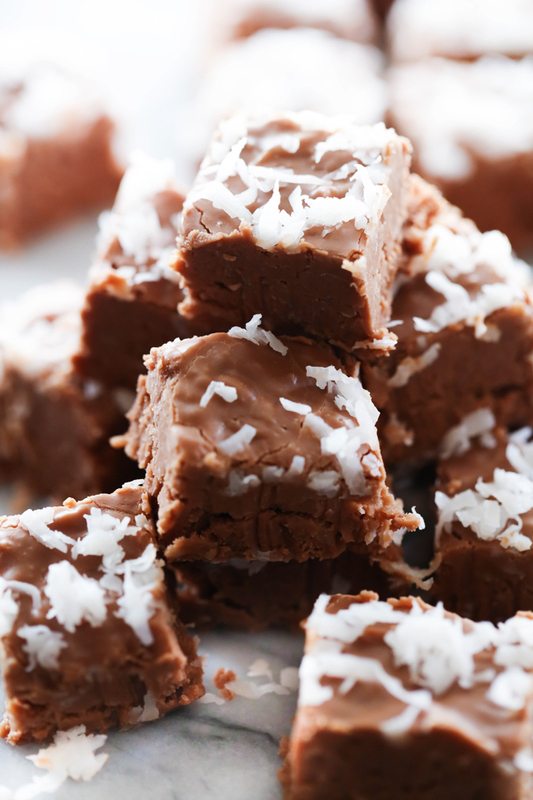 This Coconut Chocolate Fudge is so creamy smooth with the perfect hint of chewiness from the coconut. 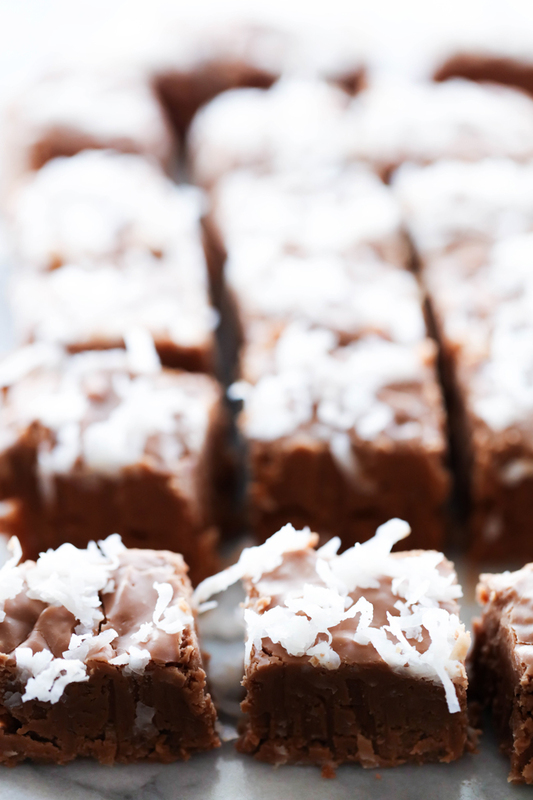 Using the best fudge base out there, this fudge is sure to become a new favorite. Valentine’s Day is right around the corner and for me, that means fudge! Fudge is one of my favorite chocolate indulgences and what better day to enjoy some than the day that screams chocolate! Pour chocolate fudge into prepared pan. Sprinkle ¼ cup coconut over the top.